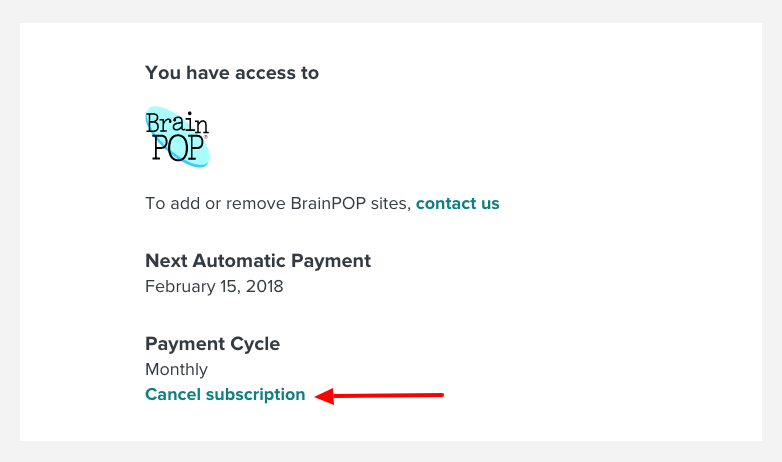 If you subscribed to a BrainPOP website with a credit card, you can cancel the automatic renewal of your subscription at any time by choosing Manage Subscription in the footer. Note: This article is about canceling subscriptions to our website. To cancel automatic renewal of an in-app subscription on a mobile device, use our Apps articles. 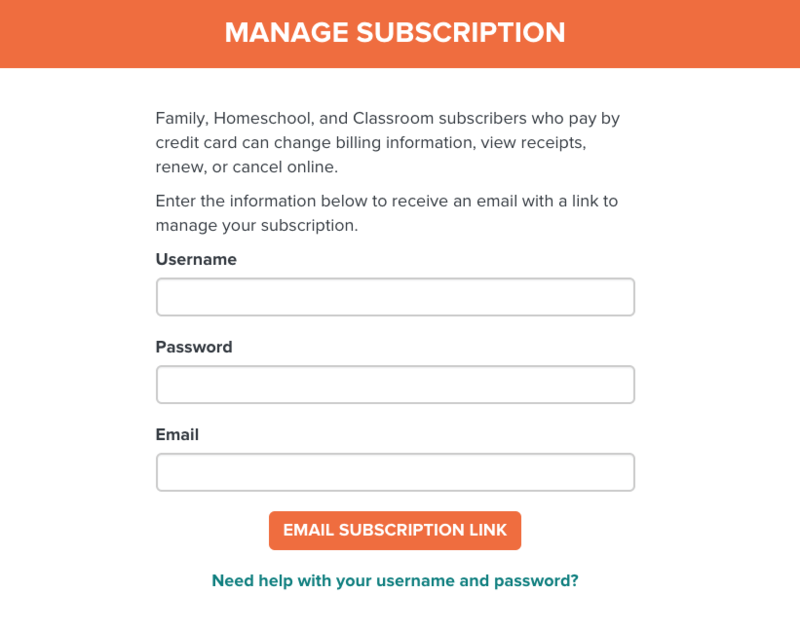 You can view your subscription details, billing information, and payment history. To turn off automatic renewal, choose Cancel Subscription. 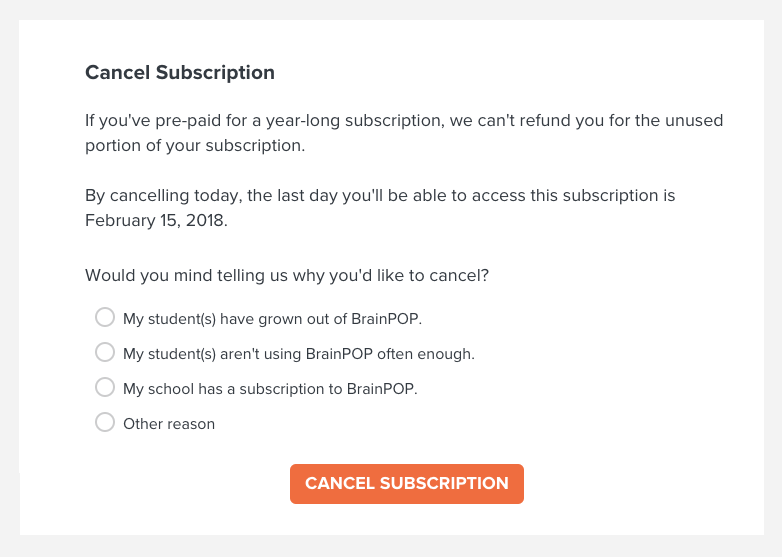 Confirm by choosing Cancel Subscription. You will also receive an email confirmation. If I cancel automatic renewal, do I lose access to my subscription immediately? Canceling automatic renewal will prevent your card from being charged on the next renewal date. 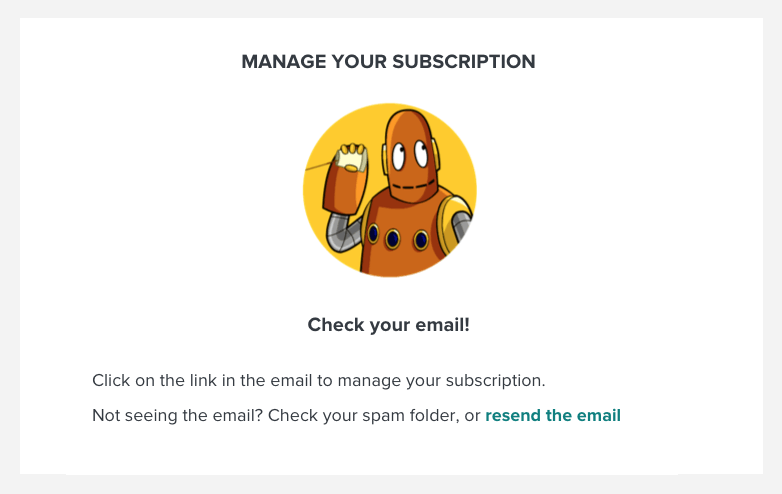 The last day you will be able to access the subscription will appear on the Cancel Subscription page. Do you send reminders about upcoming renewal dates? Yes. For annual renewals, we send email reminders seven days before your card is charged. Can I get a refund for the remaining time left on my subscription? Unfortunately, no. Canceling automatic renewal will prevent you from being charged further, but we cannot refund you for the time remaining in your current monthly or annual billing period.